Recently, I posted about how we can get amazing value from the fact that the Singapore Airlines KrisFlyer program considers Hawaii to be part of the same region as Central America. We can also use this sweet spot for great value on travel to South America too! On the Singapore Airline’s award chart, it costs fewer miles to fly between Hawaii and South America, routing through the continental United States, than it does to fly directly between the continental United States and South America. This is great news for people that live in Hawaii or South America, but it is just as good for people who live in the continental United States! People who live in the continental United States can use this sweet spot to get a complete vacation to South America and two half trips to Hawaii, all on one award redemption, for fewer miles than simply booking a roundtrip award between the continental United States! Singapore miles are some of the easiest to get, since Singapore is a transfer partner of Chase, American Express, and Starwood Preferred Guest. What are the relevant rules and tricks for this award? What variations on this award could we book? How can you book this award? What about using United miles? How can you get Singapore Airlines KrisFlyer miles? Singapore does not allow a stopover on one way awards. Singapore Airlines allows six segments per award. Singapore allows one free stopover per roundtrip award and up to three additional stopovers for $100 each. Singapore allows one open jaw per roundtrip award. Singapore collects fuel surcharges on many awards, but no flights you would use for this award have fuel surcharges. United flights to Hawaii and South America and Copa and Avianca flights between the United States and South America are all surcharge free. We’ll examine each of these rules in relation to an example routing. You can view Singapore Airlines’ full routing rules here. To illustrate the sweet spot between Hawaii and South America, I am going to give an example itinerary for someone based in Houston. We have a valid round trip booking, ensuring we are not tripped up by the rule that we may not have a stopover on a one way award. Due to the rule that we can only have six segments included on the booking, to take advantage of this sweet spot, your home airport must have direct flights to either Hawaii or South America so that you stay under six segments. All United hubs in the continental United States and all cities with direct Avianca flights to Colombia satisfy this requirement. We have two stopovers (one free and one for $100). The first is between our flight from Honolulu to Houston and our flight from Houston to Buenos Aires. The second is between our flight from Buenos Aires to Houston and our flight from Houston to Maui via Los Angeles. Our time spent in Buenos Aires is not considered a stopover because Buenos Aires is the destination of our round trip award. The stopovers can be as long as we want them, subject to the fact that United only releases award space to Singapore up to 331 days out, and we need to book all our flights at once. We have one open jaw (starting the trip in Honolulu and ending the trip in Maui), which conforms to Singapore Airlines routing rule that allows one. We’ve laid out a fantastic itinerary. However, there are some changes that we could make to the award to better suit our particular circumstances. We could put together a similar award for the same number of miles in reverse if we wanted two half trips to South America and one roundtrip to Hawaii. If, on our trip to Maui we wanted to stopover in Los Angeles, we could pay an additional $100 dollars for the privilege of an additional stopover. If we wanted to minimize our cash out of pocket and not spend $100 for a second stopover on the route, we could book the flights from Houston to Maui within 24 hours of our arrival in Houston from Buenos Aires. We could either combine the two vacations into one big one or treat the flights to Maui as dummy flights and not fly them. Like always, write down the flight numbers, dates, and cabins, so you can feed them to the Singapore customer service representative when you call to book your ticket. Remember, getting to Honolulu before the start of this award and getting back to Houston after arriving in Maui will not be included in this award. I’ve written a lot about the best ways to travel to Hawaii with miles and you can find those posts here. While award space was available enough to make the trip work with some flexibility in economy, there was no availability at this time in business. I started searching in chronological order with Honolulu to Houston in September 2014. Since I knew that there are direct flights on this route, I checked the box on the United search interface to only search nonstop flights. There is availability every day except Saturdays in September on the red-eye flight back to Houston. Next I searched the Houston to Buenos Aires route in November. Again, knowing that there was a direct flight offered on this route, I checked the box to search only for nonstop flights. The availability for this route was very limited in November, but there were still some options. Next I searched the return flight from Buenos Aires to Houston in November. My goal was to find a flight that gave us a 10 day vacation in Buenos Aires. Again, knowing that there was a direct flight offered on this route, I checked the box to search only for nonstop flights. Luckily, there was good availability, especially in the later part of the month, allowing us to spend exactly 10 days in Buenos Aires. Finally, I searched the Houston to Maui route in March 2015. This time, knowing that there was no direct flight offered on this route, I did not check the box to search only for nonstop flights. While the availability in the beginning of the month is not good, there is a lot of availability in the latter part of the month. We’re flying United and we’re searching united.com, but we have to call Singapore to book since we’re using Singapore miles. Singapore’s US call center is open 24 hours a day. The number is: (213) 404-0301. There is no telephone booking fee. Always clarify with the agent whether she’s quoting a price in US dollars or Singapore dollars. As always, if an agent cannot book a flight for you or prices it at a higher price then you are expecting, simply hang up and call back for another representative. After feeding the agent the flights I’d found, he quoted a price of 50,000 Singapore miles plus $186. That represented $86 in government taxes and $100 for the second stopover. As noted above, Singapore does not collect fuel surcharges on United flights. Using Singapore Airlines KrisFlyer miles is also a better bet for flights to South America than using United Airlines miles, Singapore Airline’s Star Alliance partner and the operator of most of the flights we’ll look at booking to take advantage of this sweet spot. For flights flown on United, United charges 60k miles in economy or 120k miles in business roundtrip between Hawaii and South America and 60k miles in economy or 110k miles in business roundtrip between the mainland US and South America. Plus, we can’t pay $100 for a second stopover using United miles. Getting Singapore miles is extremely easy now. Citi ThankYou Points transfer 1:1 in 22-36 hours to Singapore miles. If I had all four types of points in this section, transferring ThankYou Points would be my first choice. This is the best ThankYou Points transfer partner, and the other options like redeeming the points for 1.25 cents each toward any flight aren’t nearly as valuable. 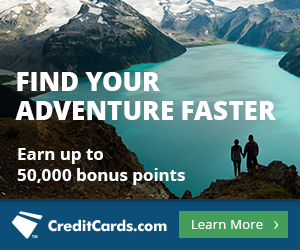 Get 40,000 bonus points after spending $3,000 in the first three months on the Citi ThankYou® Premier Card. SPG Starpoints transfer 1:1 to Singapore miles in about a week. Like all SPG 1:1 transfer partners, for every 20,000 points transferred, you’ll get 5,000 bonus miles. Try to transfer in exact 20,000 Starpoint increments to maximize this 20,000:25,000 transfer ratio. You can earn Starpoints from the Starwood Preferred Guest personal and business credit cards from American Express. Chase Ultimate Rewards earned from the Ink Plus and Sapphire Preferred transfer to Singapore KrisFlyer miles in a day or two. Points from the Freedom can transfer to any of those three cards‘ accounts and from there on to Singapore. Ultimate Rewards are the only one of the four points that also transfer 1:1 to United miles, so people with Ultimate Rewards should definitely bookmark this post that compares awards using United and Singapore miles. American Express Membership Rewards transfer to Singapore KrisFlyer miles in a day or two. 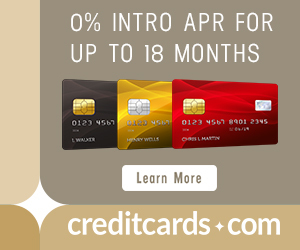 Any Gold, Platinum, Green, EveryDay, or corporate card will earn Membership Rewards. Singapore Airlines has placed Hawaii and Central America in one region. Singapore Airlines charges less miles to fly between the Hawaii/Central America region and South America, routing via the continental United States, than it does to fly directly between the continental United States and South America. If you live in the continental United States, you can use these facts to combine multiple Hawaiian and South American vacations into a single award for fewer miles than if booking them separately. Singapore miles are easy to rack up since the airline is a 1:1 transfer partner of Chase and American Express. Hopefully booking a similar award to the one laid out in this post will be easy for you. If not, hire the MileValue Award Booking Service to book your dream trip (or trips in this case!) for you. Are there ever transfer bonuses to Singapore from Membership Rewards? Can do same with Aeroplan. In fact, I’m on the first stopover using 80k on Business. -Maui to Toronto completed last April. -YYZ to Maui next April. Using cheap AA saver award to return YYZ. -Got to Maui last April using AA free one-way loophole that started in Europe much earlier and before AA discontinued them. I’ve long followed your blog for tips such as the free one-way. Thanks Scott! Crazy fun hobby! This is very useful, but hard to understand how it would benefit someone living in the CONUS. Can you do a sample of that as well? ??? The example above is for someone living in Houston, hence the months-long stopovers at home in Houston. This is MORE valuable for people living in CONUS. Great post. Does this work if based out of NYC? I see from your prior post that it works with EWR, but I am surprised that there are no rules against MPMs. Flying HNL through EWR to get to South America doesn’t sound direct at all. Were you able to book something without issues? I didn’t try every hub, so I can’t say 100%, but I would be shocked if EWR didn’t work. It actually isn’t too far out of the way, and there doesn’t seem to be an MPM rule anyway. Great routing! Very ingenious! It’s good to see that those things are out there still! Hi, do you know how much Singapore Airlinew would charge for a round trip between Hawaii and Central America? Thanks. Helpful post. I know you don’t have space in one article to go into all the possible ways this can work to save miles or add stops. Pardon me if this is something I should know, but what are the rules about a $100 stopover? I’m not familiar with that concept. Can you take those anywhere or just in certain locations/routings? On any roundtrip award with Singapore miles, you get one free stopover and up to three more for $100 each. They can be anywhere along a valid routing. I am not sure if the award needs to be from one region to another to unlock stopovers as is common with many programs. It could be useful, but you’ve essentially paid $100 and parted ways with 50k Amex, Chase or SPG points (much more valuable than UA miles) to save on 60k less valuable United miles & now you need to take two trips to Hawaii when for most people vacation time is limited and they may not want to visit the same place twice in 1 year. You do not need to take the second trip to Hawaii or pay the $100. If you only want one trip to Hawaii, make the second “trip to Hawaii” unflown dummy legs. Is it possible to utilize this “scheme” from ATL going to Machu Picchu and Hawaii in June 2015 (return to ATL)? Or is for hub cities only? The rules are all laid out here. It’s possible as long as you limit yourself to six segments. This sounds great and something I would like to try… do you have a suggestion for that 1st leg to Hawaii? I can understand how I can drop the last trip out to Hawaii and just stay in the states if I want – but my concern is how much would a one-way flight to Hawaii cost me to start all this? Depending on how I planned it and what would be best for me — I would be able to start in NYC, ATL or LAX. I just have to commend you on such an excellent post!! I appreciate all your posts, they’re really so informative.